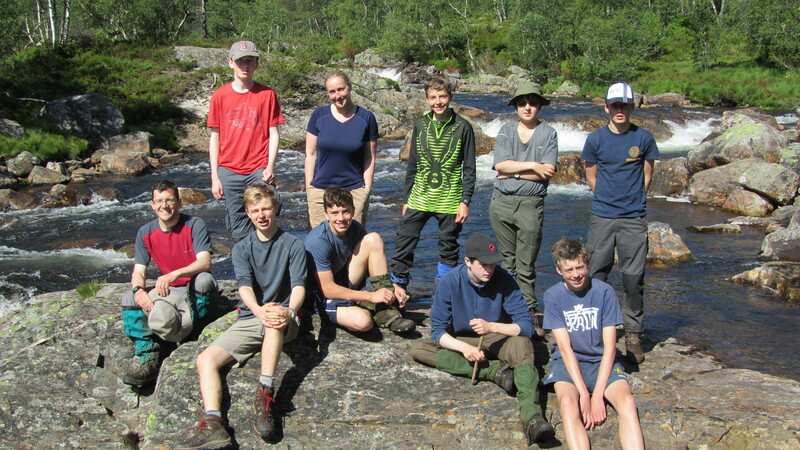 This year’s Sherborne CCF Summer Camp involving 12 personnel was a trip to the breath-taking scenery of the Setesdal Valley in Southern Norway to undertake the Viking Trail which comprised hiking and canoeing phases. The aim was to enable the cadets to experience an expedition that would enhance their self-reliance and teambuilding skills using adventure training as a vehicle to achieve this in a stunning overseas location. We had a mixture of abilities amongst the cadet body and it was great to see them come together as a team over the course of the expedition. After the end of school year celebrations the group set off at 0330 to catch our flight from Heathrow to Stavanger. We were driven for three hours through amazing scenery to our base camp near Evjemoen which was formerly a British military adventure training centre. 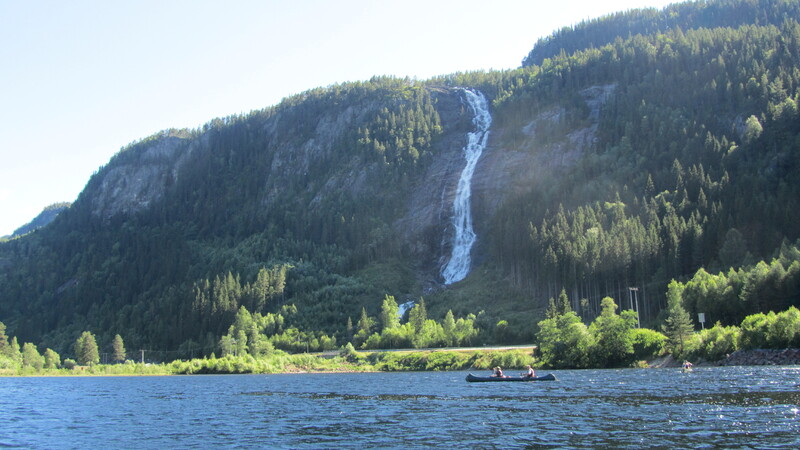 This part of Norway was not too far from countryside made famous by the daring actions of the Heroes of Telemark. 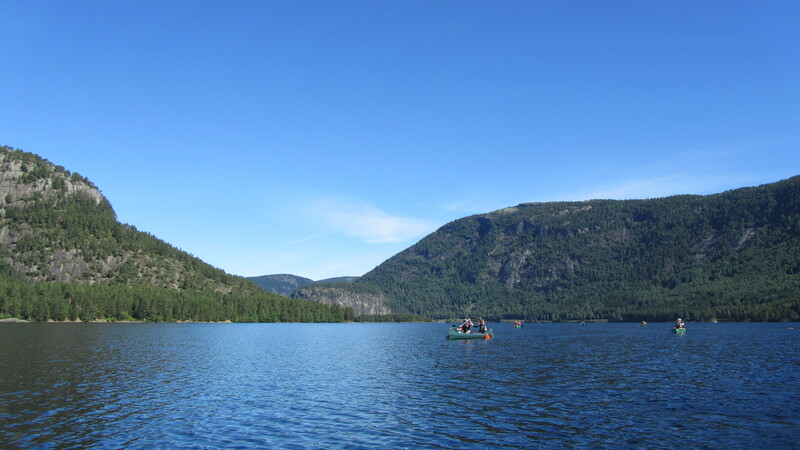 The first part of the trail was the 3 day hiking phase through the mountains before moving onto the 3 day paddling phase with the boys canoeing down a majestic fjord. The scenery did not disappoint with spectacular waterfalls, impressive rock faces and endless forests dominating the landscape. We were hugely fortunate to have good weather for the duration of the trip having discovered the previous month was non-stop rain, which explains why much of the hiking trails were so boggy. The boys learned bush craft skills, caught fish to supplement their evening meal and survived an onslaught of midges (the only negative!) during a night of wild camping on the side of the fjord. 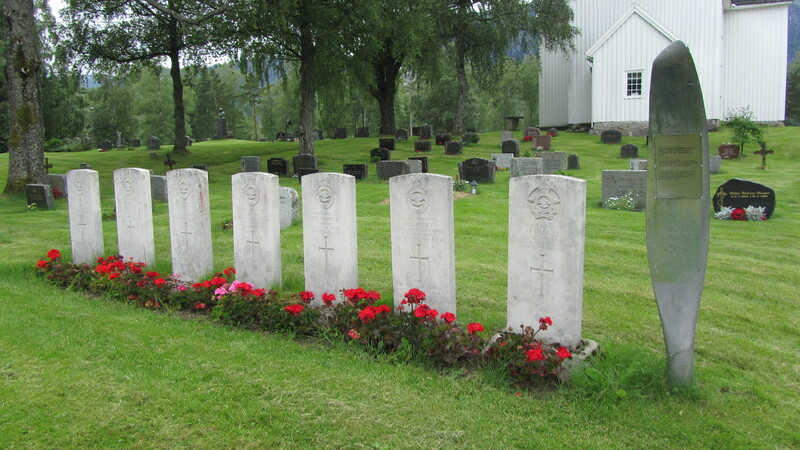 The boys were also able to visit the Commonwealth War Graves of six Allied Serviceman killed when their Flying Fortress was shot down by the improved version of Messerschmitt German aircraft over the fjord in 1941. Throughout the trip we were struck with just how clean Norway was. We saw no litter and were amazed to hardly encounter a single soul on our journey which provided some evidence to the claim that Norway is Europe’s last true wilderness. At the end of the trip after a much appreciated barbecue on the beach of the fjord, the boys reflected on the importance of working together as a team and encouraging and looking out for each other. It was gratifying to observe a genuine care for one another amongst the cadets. We reinforced the importance of compassion and support regardless of the walk of life the cadets end up in. We are grateful for the support of the Ulysses Trust, Connaught Trust and MOD for their generosity which has helped keep the cost of the trip down. 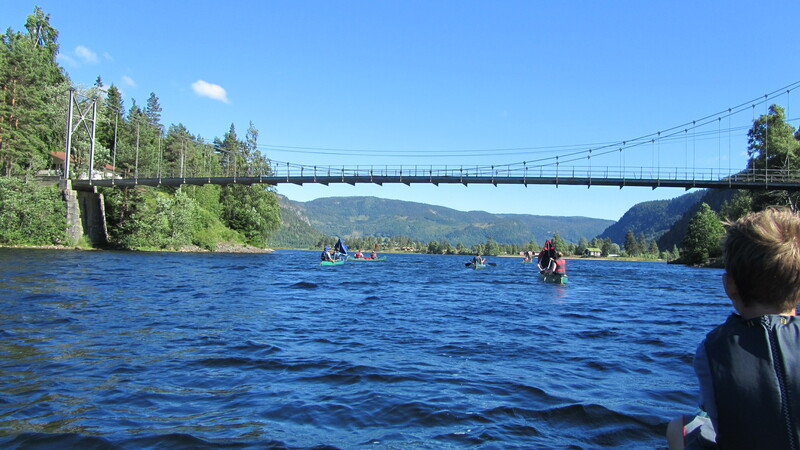 Given our positive experiences on the trip we would recommend Norway as a cadet expedition destination and will more than likely seek to run a similar expedition in the future. As the first overseas CCF trip Sherborne has run for a few years with new staff, it has provided valuable experience to the staff and will embolden them to run more trips like this in the future. It is also hoped that the publicity generated within the school will help recruitment and retention to the CCF in what is a competitive landscape for attracting pupils at our school given the plethora of options available to pupils. It is our firm belief that the CCF provides fantastic opportunities for personal development and plays an important role in inculcating the right values.